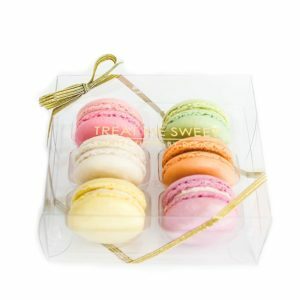 Our macarons are shipped in custom-designed packaging enclosed in an insulated cooler bag to ensure the quality and freshness during transit. Because of the fragile nature of macarons, some breakage of the macaron shell may occur during transport. This will not affect the taste and quality of our product. 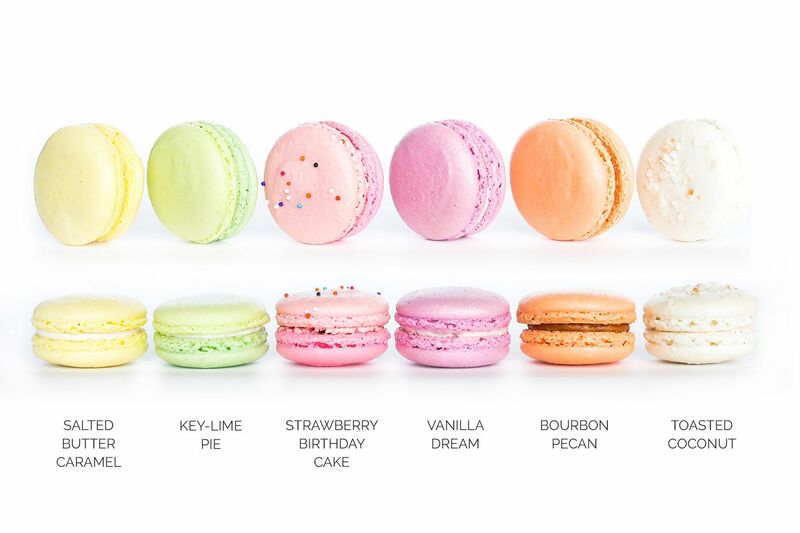 Color may vary slightly from photographs shown as our macarons are made by hand. Orders are only shipped Monday through Wednesday, to avoid weekend overlays. We do not ship on Thursdays, Fridays, or holidays. 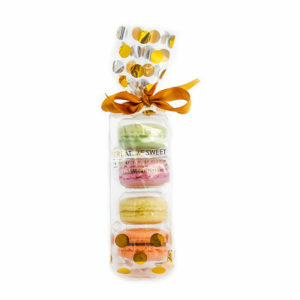 For best results, our macarons should be refrigerated upon arrival and consumed within 5-7 days of delivery. They can alternately be frozen upon arrival for up to 4 weeks. 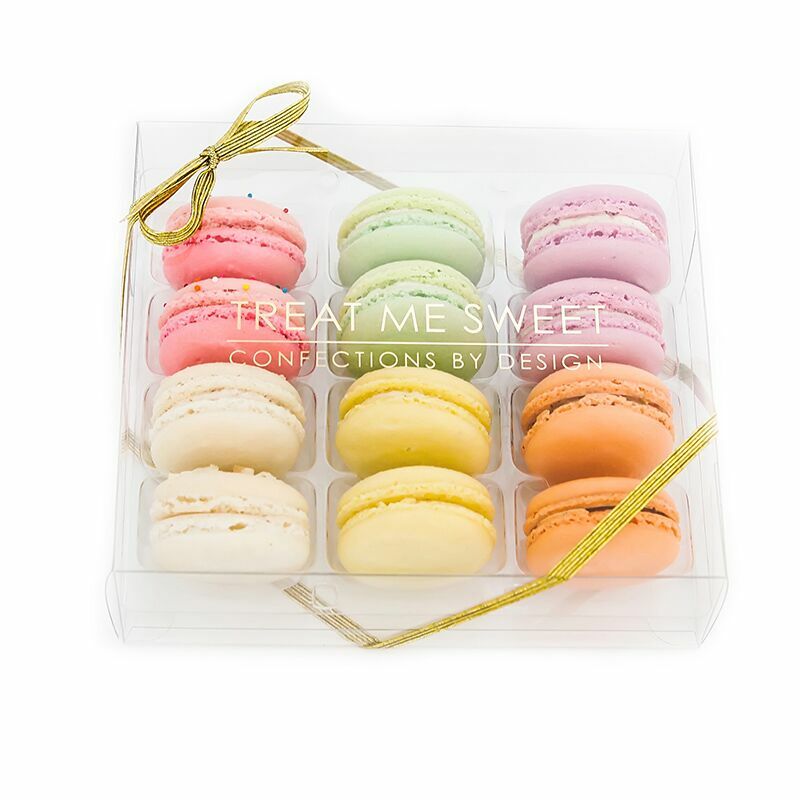 Our macarons are best served at room temperature. All macarons are gluten free, made with almond flour.